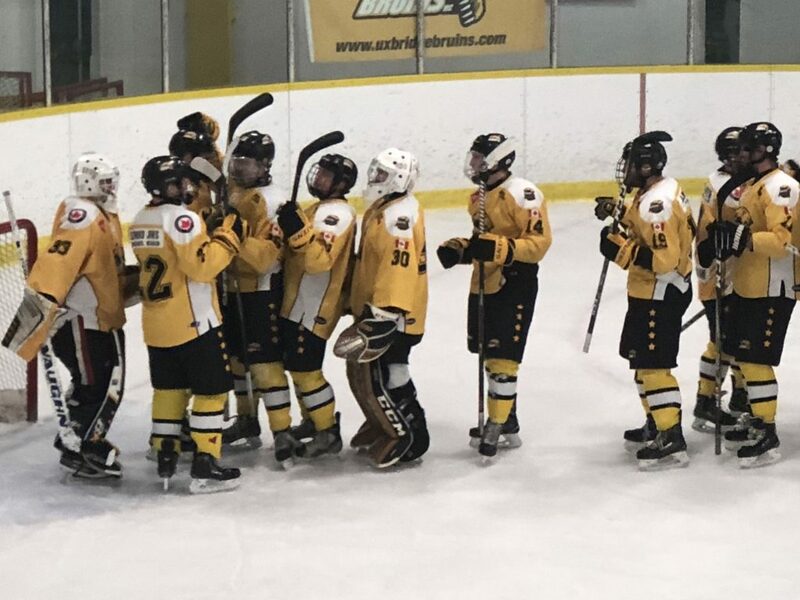 The Uxbridge Bruins clawed their way back from a 3-0 deficit to take a 5-4 win in the Battle of North Durham against the Port Perry Mojacks at the Bear Den on Friday night. With 4 seconds left in regulation, Jackson Savery completed a hat trick and extended Uxbridge’s recent unbeaten streak to 12 games. The rivals will renew hostilities in Port Perry on Sunday afternoon at 2:25 p.m.